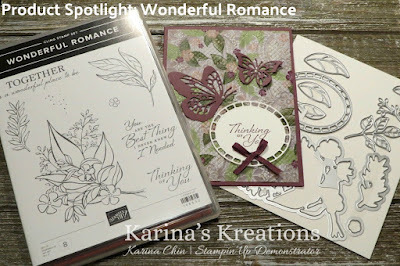 This week I'm going to feature the Wonderful Romance stamp set and Wonderful Floral Framelit Dies. This stamp is beautiful and perfect for many occasions. In fact, I love the whole product suite and I'll share several samples with you this week. Of special note is the vellum designer paper in this set. It's thick enough that you can emboss it using the Big Shot embossing folders. 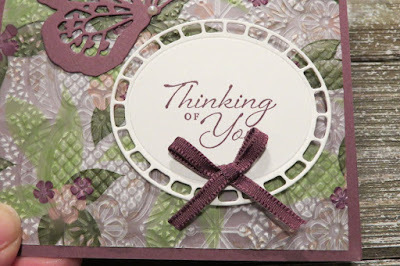 Today at 1:00, I'll be sharing how to make this card on my facebook page. Click this link! I also pulled in the Butterfly Beauty Framelits Dies and added some butterflies to my card.